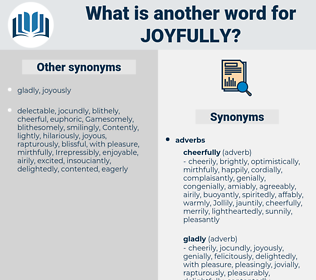 What is another word for joyfully?
" We can get it whenever we really need it, you know," she told her father joyfully. Mr. Lugur, he cried almost joyfully, I was looking for you, hoping to meet you, and here you are!